To apply to Lally's graduate business programs, students must submit a completed application form, two personal essays, standardized scores, undergraduate transcripts, two letters of recommendation, and, if applicable, TOEFL scores. Candidates are also required to schedule an interview with the admissions department. The school accepts both the GMA...To apply to Lally's graduate business programs, students must submit a completed application form, two personal essays, standardized scores, undergraduate transcripts, two letters of recommendation, and, if applicable, TOEFL scores. Candidates are also required to schedule an interview with the admissions department. The school accepts both the GMAT and the GRE. A recent incoming class had a mean GMAT score of 628 and an average undergraduate GPA of 3.2, and more than 70 percent majored in a technical field as an undergraduate. The Lally School has brought together management and technology in a way that allows students to turn innovation into commercialization. The Lally difference is its all encompassing commitment to innovation in business; it is that very commitment that separates the Lally School from all other MBA programs. And it's not simply a matter of a single course. It's the program's unique focus and approach to "innovation" that makes this program distinct from all others. Lally’s Career Services Team manages a comprehensive suite of workshops, profession­al development tools, and a portfolio of employment opportunities. The Career Team also oversees employer information sessions, MBA career panels, and trips to New York City and Boston to meet with alumni and provide career shadowing opportunities. Lally has a strong reputation in the local region, and students find that the “alumni [were] extremely helpful during my career search!” Companies that have recently recruited at Lally include Accenture, American Express, Albany Molecular Research Corporation, Bank of America, Blue Slate Solutions, Boeing, Citigroup, Clorox, Deloitte, ECG Consulting Group, Foster Miller, General Electric, Honeywell, IBM, Microsoft, Mimeo.com, Phillips, Proctor & Gamble, United Technologies, and Xerox. More than 40 percent of graduates stay in the Northeast region. The Lally School of Management and Technology was founded in 1963 as an integral part of Rensselaer Polytechnic Institute. 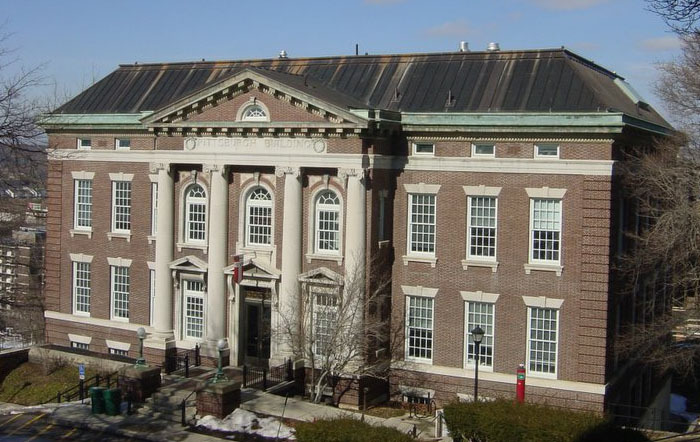 Building on Rensselaer's heritage of more than 175 years of leadership in science and engineering, the Lally School develops technologically-savvy, entrepreneurial business leaders who can initiate and guide innovation for commercial success. All programs enable the next generation of business leaders to combine their passion for technology with the management ability to succeed in today's challenging global marketplace. The Lally MBA program prepares business leaders with the skills and thinking that are essential for meeting the day-to-day, real-world challenges of running a business within the evolving dynamics of the global economy. Through experiential hands-on instruction, students acquire an overall understanding of the new sources of value creation brought about by the convergence of globalization and the information technology (IT) revolution. The curriculum enables students to gain critical expertise in launching, running, and growing a successful business: creating and managing an enterprise; value creation, managing networks, and driving innovation; developing innovative products and services; formulating and executing competitive business strategies; and managing the business implications of emerging technologies. Courses focus on critical business issues in today's global marketplace and integrate all discrete business functions, from finance and operations to global marketing and supply chain management. Key modules include global business, decision models, social responsibility and business ethics, and succeeding in knowledge-intensive organizations. MBA students at the Lally School have the advantage of being part of Rensselaer, which is the nationÂ’s first technological university. Rensselaer is also home to the countryÂ’s first business incubator for startup companies and the first Technology Park for technology ventures seeking a unique environment focused on the interface between industry and education. Rensselaer Technology Park has 13 buildings on a 450 acre plot, which currently house 90 companies with more than 2,200 employees. Additionally, Rensselaer supports more than 20 university and academic research centers on campus, which work closely with government agencies and industry leaders in such fields as biotechnology, nanotechnology, information technology, design and manufacturing, and lighting. The Experimental Media and Performing Arts Center (EMPAC), a place and a program where the arts, technology and science challenge and transform each other. It offers artists, visiting scholars, researchers, engineers, designers, and audiences opportunities that are available nowhere else under a single roof, providing unsurpassed facilities for creative exploration as well as for research in fields ranging from visualization to immersive environments to large-scale interactive simulations. EMPAC operates nationally and internationally, attracting creators from around the world, and sending new artworks and innovative ideas onto the global stage. MBA students at the Lally School have the advantage of being part of Rensselaer, which is the nation’s first technological university. Rensselaer is also home to the country’s first business incubator for startup companies and the first Technology Park for technology ventures seeking a unique environment focused on the interface between industry and education. Rensselaer Technology Park has 13 buildings on a 450 acre plot, which currently house 90 companies with more than 2,200 employees. Want more info about Rensselaer Polytechnic Institute, Lally School of Management & Technology Full Time MBA? Get free advice from education experts and Noodle community members.